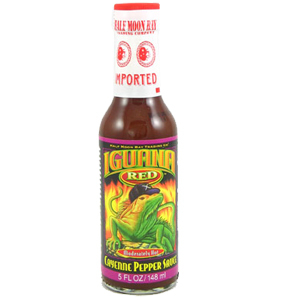 Made with only ripe red Jalapeno peppers, Iggy the Iguana has created a sauce that is "Smoky, Svory & Sort'a Hot". Use as a main ingredient in your marinades or just splash on a bit to your morning omelet; the Half Moon Bay Trading Company has created another winner and you must give it a try...do it for Iggy!! Most excellent nice flavor right amount of heat. Iguana Chipotle Pepper Sauce is amazing, and an absolute must order from Mo Hotta. Mo Betta! Add it on just about everything, my favorite is having it on Baja Fish Tacos. I didn't think anything could beat mean green. Tabasco Hot Cinnamon Candies-5 Oz.